Ask anyone in the northeast United States about the Rockefeller family, and you’ll likely hear about Kykuit: The Rockefeller Estate. John D. Rockefeller was a philanthropist and oil tycoon who became the richest man in America during the late 1800’s. He built a spectacular hilltop paradise in Westchester County, New York, that served as a home four generations of the Rockefeller family. Now a National Historic Landmark, the Rockefeller Estate has dazzled visitors for over a century. Guests of all ages are welcome to explore Kykuit and admire its incredible architecture, gardens, history, and scenery. Here are some of the things you’ll see during your visit. John D. Rockefeller purchased the land for Kykuit in 1893 after his brother William built a 204-room mansion, Rockwood Hall, in the same area. Kykuit was originally designed as a three-story stone mansion but was completed as a four-story home with two basement levels. It was finished in 1913 and designated a National Historic Landmark in 1976. 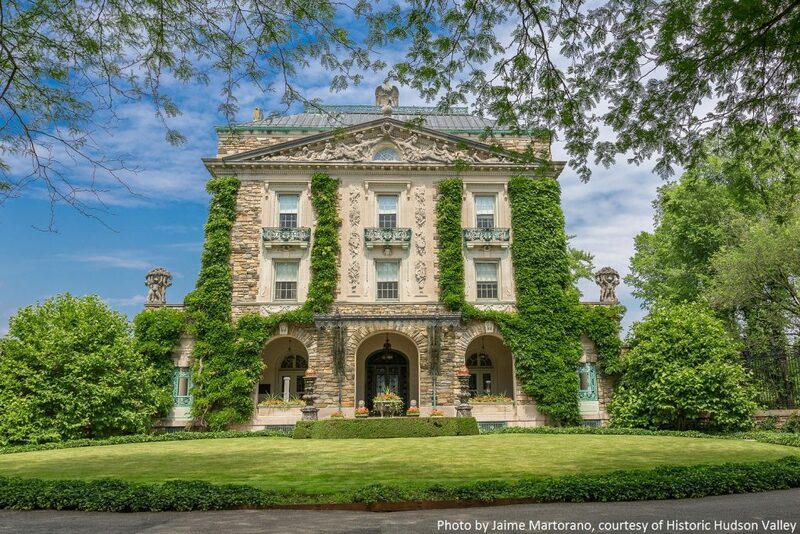 Today, Kykuit is one of America’s most famous private residences. Ten or so Rockefeller families still live within the estate, but much of the land has been donated to the state of New York. Visitors and locals alike are welcome to visit the estate grounds and enjoy recreational activities like horseback riding, biking, and jogging. Perched on the highest point of the Pocantico Hills, the Rockefeller Estate overlooks the Hudson River and occupies an area of 3,410 acres. In addition to the stunning six-story stone house, the property offers terraced gardens, fountains, and even a nine-hole reversible golf course. There’s also a Coach Barn filled with classic automobiles, horse-drawn vehicles, and equestrian equipment, as well as a 20th-century art and sculpture collection featuring works by Moore, Calder, Picasso, Warhol, and many others. Visitors can choose from a variety of informative tours that will lead you through the estate. Your tour guide will take you to the main rooms of the mansion as well as through the gardens, sculpture collection, and underground art galleries. You’ll hear stories about various Rockefeller family members and their contributions to philanthropy, conservation, business, government, and the arts. Each tour begins at the Visitor Center at Philipsburg Manor. Visit their website for details about the classic tour, grand tour, landmark tour, timesaver tour, and group tours. Come Home to the Stanton House Inn! For luxurious lodging near Westchester County, look no further than the Stanton House Inn. Located in Greenwich, CT, our inn is just a short drive from downtown Greenwich, Westchester County, and New York City. You can scroll through our beautiful gardens before resting up in one of our comfortable guest rooms. Be sure to join us for breakfast the next morning and tell us all about your trip to Kykuit: The Rockefeller Estate. We look forward to having you! Photo by Jaime Martorano, courtesy of Historic Hudson Valley.